Round up of the Motorhome and Caravan Show 2017! Another successful year at the Motorhome and Caravan Show! 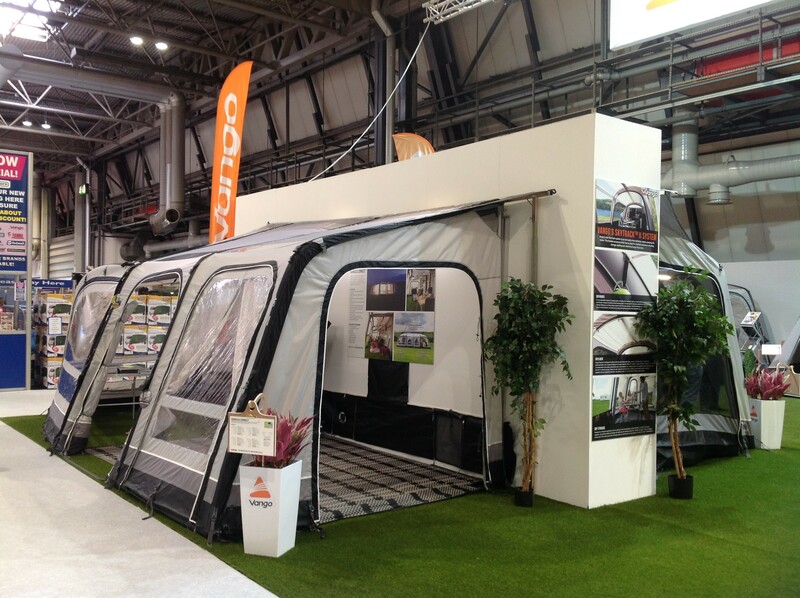 We were very proud to showcase our brand-new inflatable awning range for 2018, with a whopping 21 awnings on display over our 2 stands. All our new for 2018 awnings were on display, including our innovative Varkala Connect range, which allows you to have complete flexibility and expand your living space or add additional sleeping space for your caravan holidays! Our Galli Compact was also a hit, ideal for trips where its just to two of you wanting to enjoy the view. 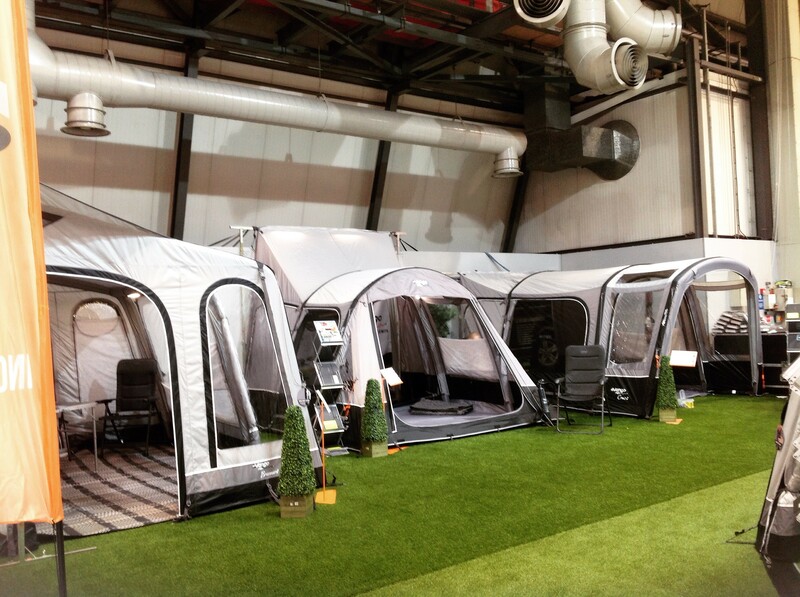 Not only were our new awnings on display at the show, we also carried out our popular AirBeam Challenge for one lucky person to win a Vango Voucher worth £500. After a fierce competition, our overall winner for the week was JEREMY LINFORD who managed to pump up our Airhub Hexaway in just 8.83 seconds, making this a new AirBeam Challenge record! 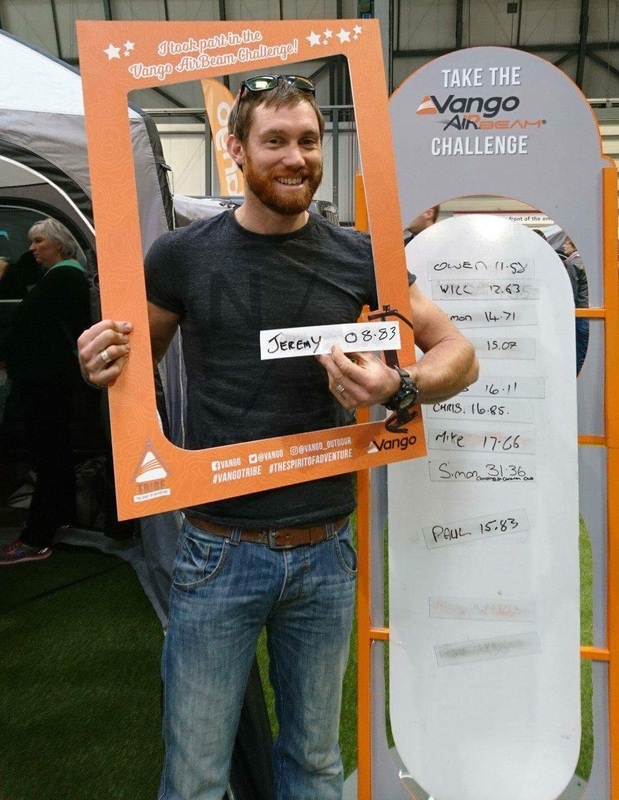 Massive congratulations to Jeremy on winning £500 Vango Vouchers and we really hope you enjoy your new Vango kit! Click HERE for our 2018 Drive Away collection and HERE for our Caravan Awning range! We hope to see you all again at our upcoming shows in 2018!